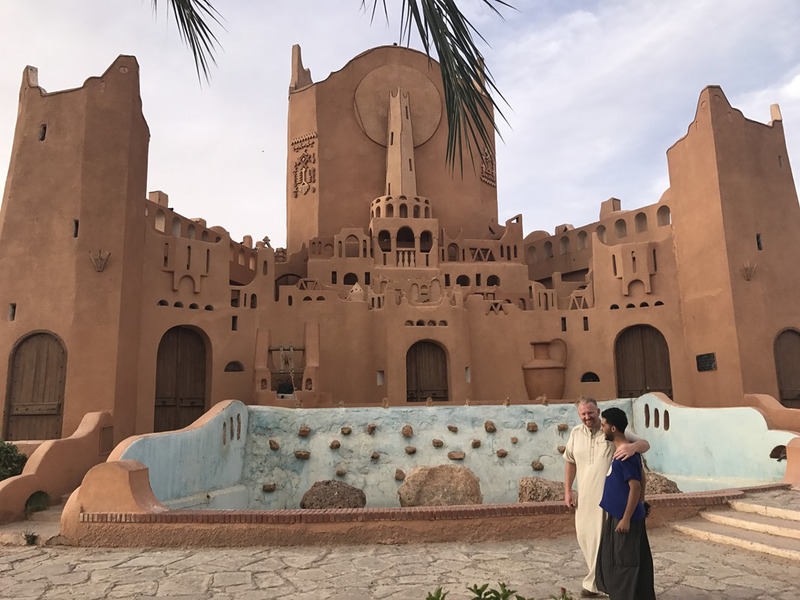 Algerian Saharan Oasis Walled Cities of M’zab Valley – Traveling Epic! Algeria has really been lost as a tourist destination. In my experience, Algerian embassy really wasn’t big on outsiders. While it has been off the radar to tourists, it’s really quite incredible with treasures so preserved. From the ancient UNESCO sites in Algiers, to the imperial french colonial buildings. The massive mosque in Algiers. In one of the largest countries in Africa in Algiers deep into the Sahara desert. 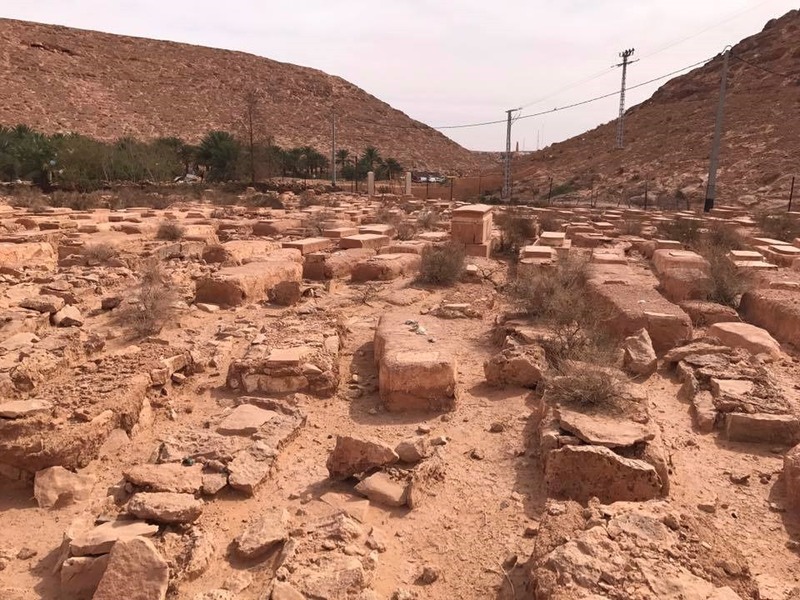 There are five “walled villages” (ksour) located on rocky outcrops along the Mzab collectively known as the Pentapolis. 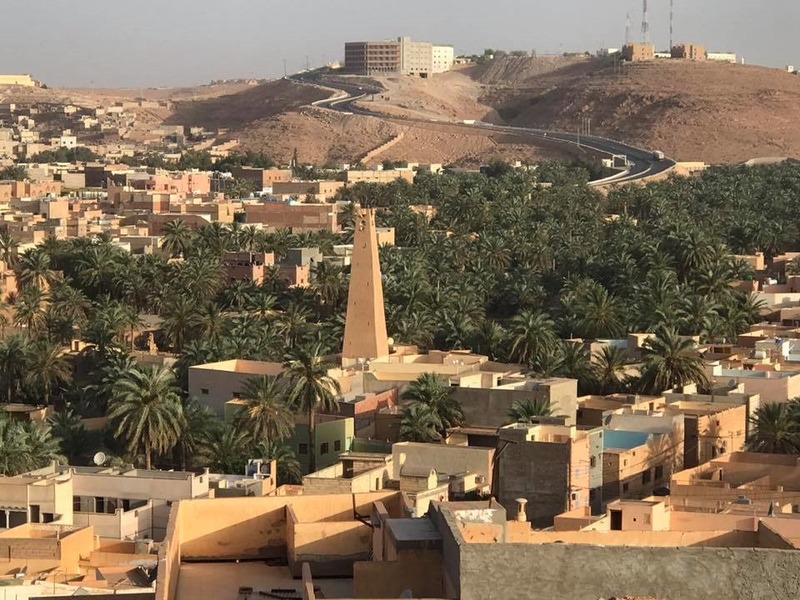 They are Ghardaïa, the principal settlement today; Beni Isguen; Melika; Bounoura; and El Atteuf. Plus a couple more recent settlements of Bérianne and El Guerrara, the Mzab Heptapolis. 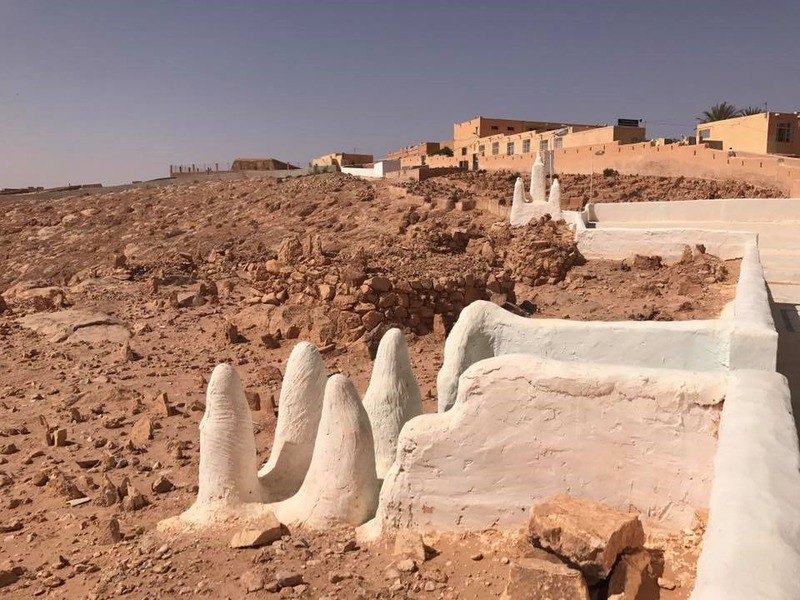 The combination of the functional purism of the Ibāḍī faith with the oasis their way of life has led to a strict organization of land and space. Each citadel has a fortress-like mosque, whose minaret served as a watchtower. Houses of standard size and type were constructed in concentric circles around the mosque. The architecture of the M’zab settlements was designed for egalitarian communal living, with respect for family privacy. 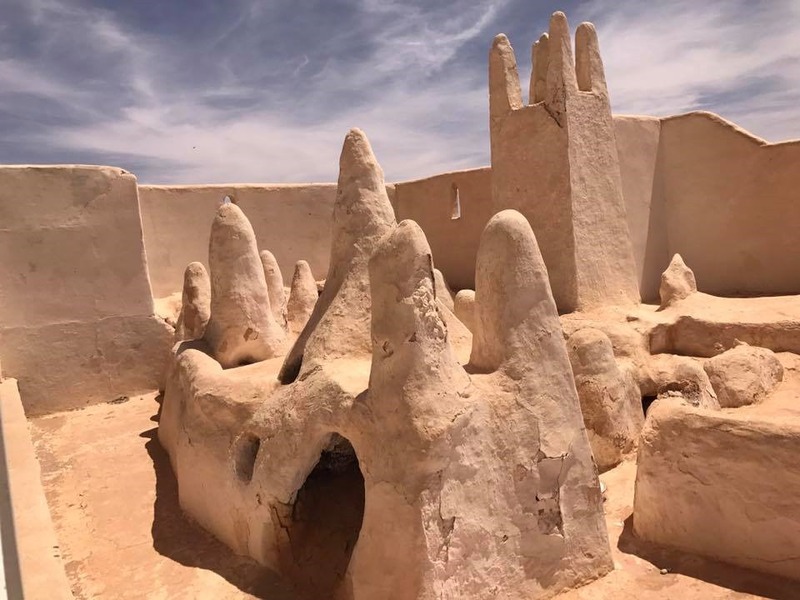 The Mzab building style is of Libyan-Phoenician type, more specifically of Berber style and has been replicated in other parts of the Sahara. I love the story of the walled villages. The ibadi people escaped into the desert and literally build their cities out of the stone. They turned it into an oasis. Far from outside influence they were free to worship and develop in their own ways. Today you will find a mix of Arabs, and black african people from across Africa mix with Ibadi in the markets. It’s cool to see the diversity in the markets. Some of the harshest environments on the planet provide the most dear people. In the harsh climate of the Sahara desert, not far from the middle of nowhere… you’ll find a magical place. A place where the residents themselves were attempting to escape from any civilization around them. They created their own Oasis amongst the rocks of the M’zab valley. The unbelievable stories I heard about wells taking three generations to dig through solid rock inspire you and help you understand just how dedicated these people are to their faith, their families and each other. You may see the lady in the white. They usually scurry around quickly to not be seen and show only one eye. Depth perception can be a real problem, but they’ve become experts. These five small walled villages designed to keep out the hate and influences, but now the walls are open. You can take a peak at a place seemingly untouched for 1000 years. As a traveler one of my favorite things to do is time travel. 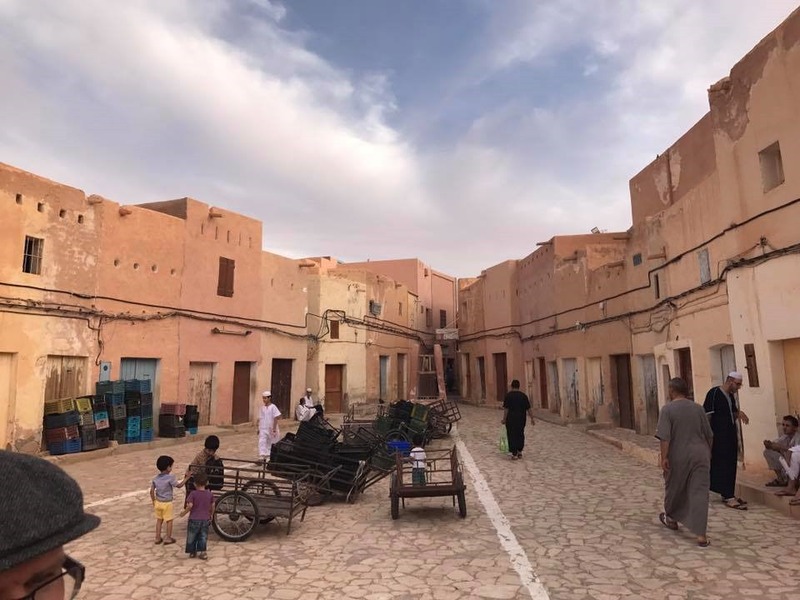 Wandering through the souks (markets) of these small villages eating some of the most delicious fruit grown with their precious life giving water. Let me take you there. The more bumps on top the more the important the person is. I didn’t end up with too many photos of people and families because many cities outlawed it. It was illegal to take photos of the people. 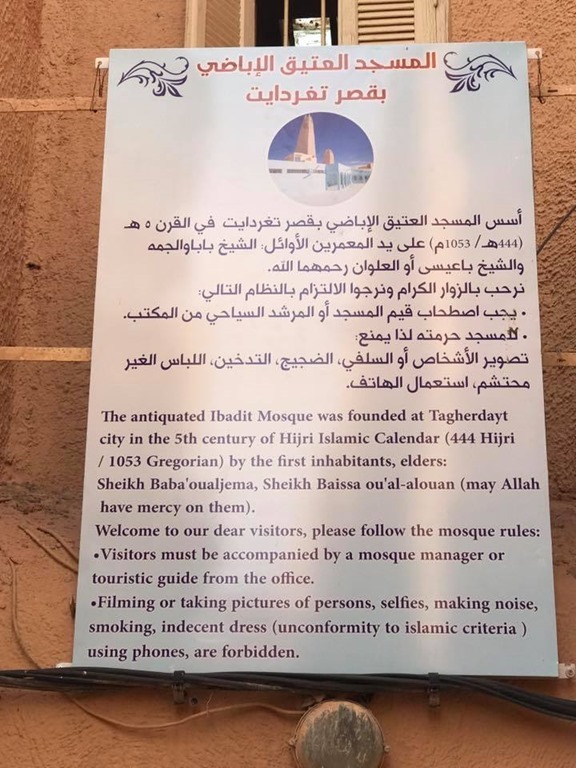 Check out these rules on the side of a mosque. These walled cities are walking cities no cars. 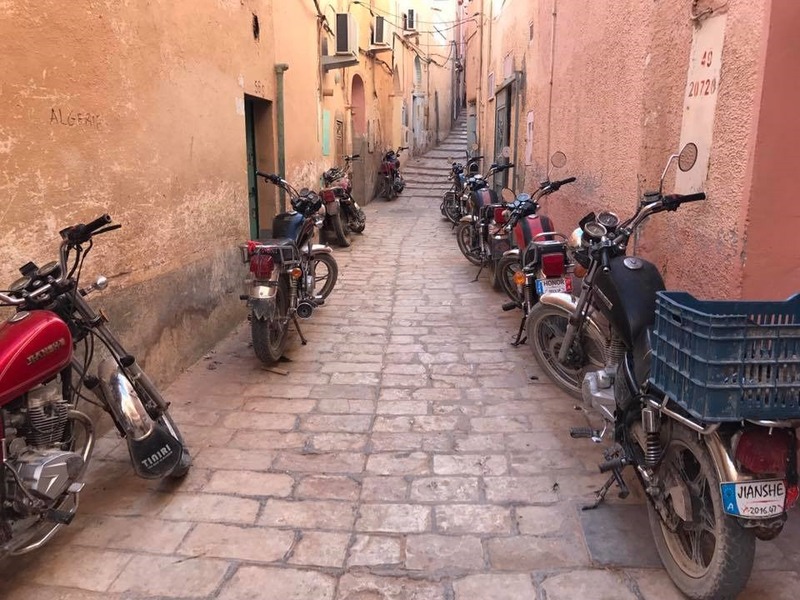 A few found a work around with their motorbikes. An abandoned mosque was fun to explore. It’s sad to see the current state. 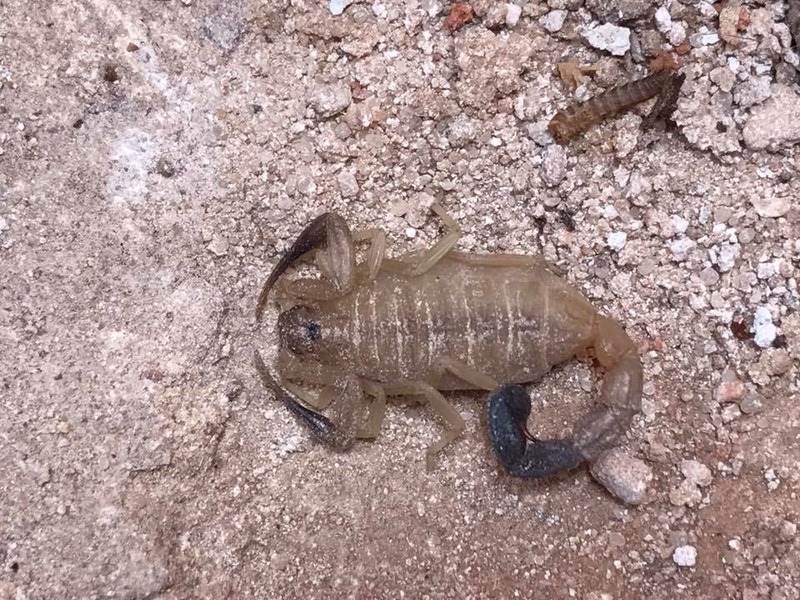 Even saw a scorpion under a brick. 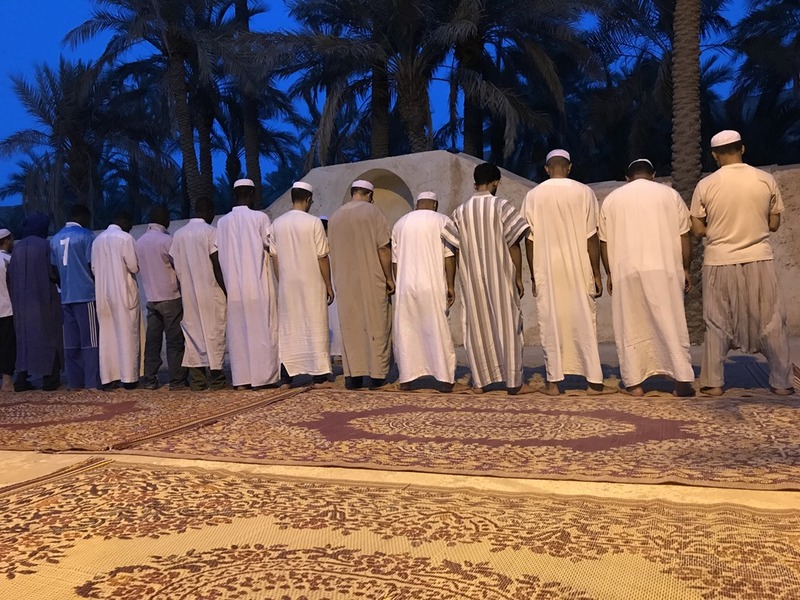 Getting ready to pray to close the end of the day during Ramadan. 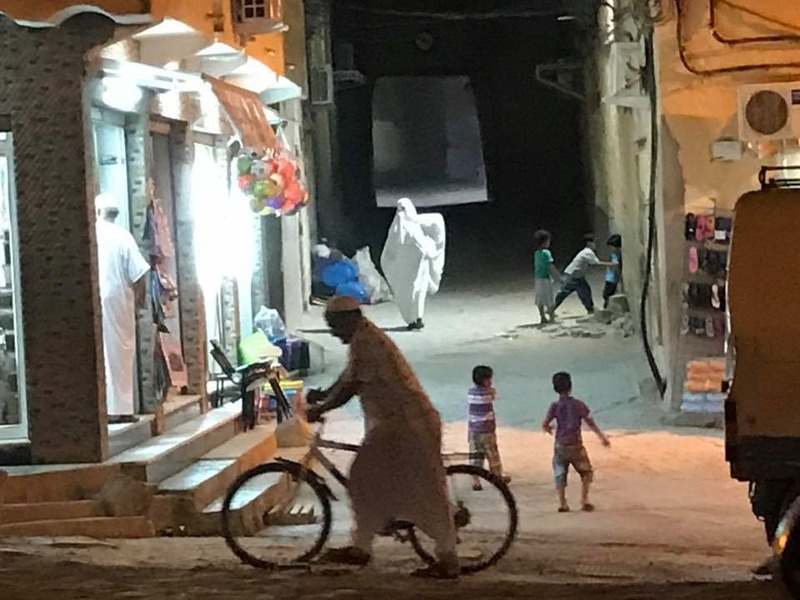 Until you’ve walked a mile in someone’s shoes you can’t judge them or so the saying goes… This past year I got to celebrate Ramadan with some friends while visiting the M’zab valley to a special set of beautiful walled cities in Algeria. It was a dream. Our host was a one we found through Airbnb only to find out he was a new father and family had come from out of town. We stayed in a dusty abandoned building by ourselves. My friend stayed on the roof and I took the bottom floor under the fan. Our host didn’t even have a way to collect on Airbnb, because he can’t hook up any system of payment so he couldn’t receive our payment if we paid. It was quite the odd arrangement, but ultimately he told us we could pay whatever we wanted. He really just wanted to meet foreigners. We surprised him by saying we really wanted to try to live like they did from prayers to eating. There were a few false starts and I struggled to go without food and water after walking nearly 15 miles in 100 degree heat. I cheated and snuck some water thinking the water part was optional. Apparently not. On day two we did a little less walking and decided to follow the path of the locals and take a nap in the heat of the day… that part worked out well and we were able to make it through the day without any cheating. That night as it got dark we met up with our friends to break the fast. 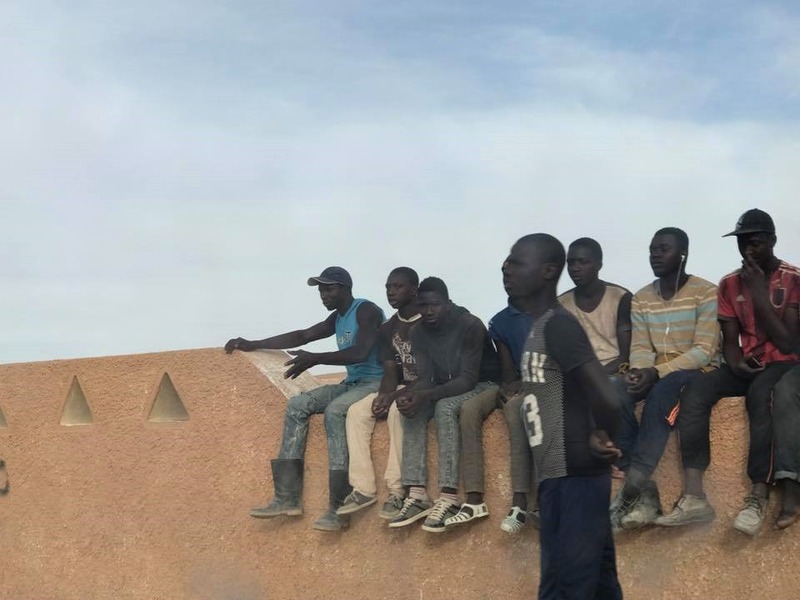 While I couldn’t speak any berber, french or arabic, I passed my phone back and forth using translator in arabic to share my experience with my new friends. One of them our host spoke pretty good english and his friend, who owned the home, not so much. By the end of the night we found common belief in a God who loved us, in Jesus and his kind words. We also both found safety and love in the community and family. 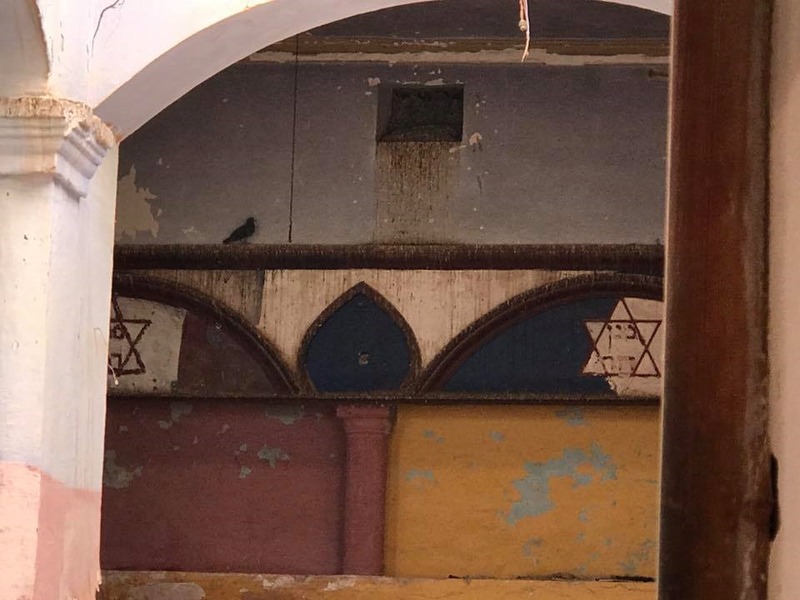 The Ibadi community simply wants to worship the way they have for a thousand years. They built their community out in the desert and if their stories of multi generational well digging is true, they are one of the heartiest communities ever. My grandparents as well established communities and had to escape persecution for freedom of worship. I could identify. In the end we shared some empathy for each other and again my perspectives grew. Travel helps defeat prejudice bigotry and hate and can open your eyes. This diverse group of muslims represented Ibadi as well as Arabs and young men from Togo & Benin. Travel with me during Ramadan, and imagine fasting with no food or water from morning till night. I was really surprised how seriously they took the no water and we were walking 10-15 miles that day. 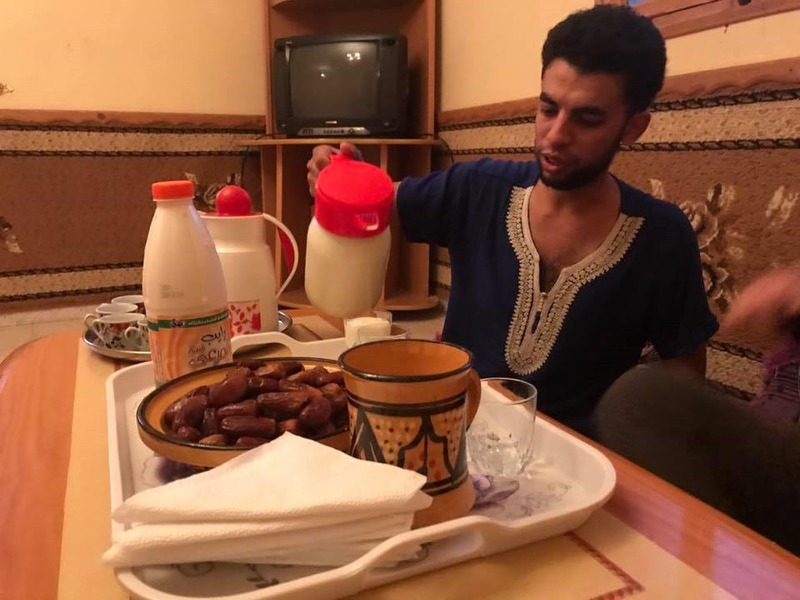 The dates and milk tasted so good after a very long day of fasting in the Sahara. 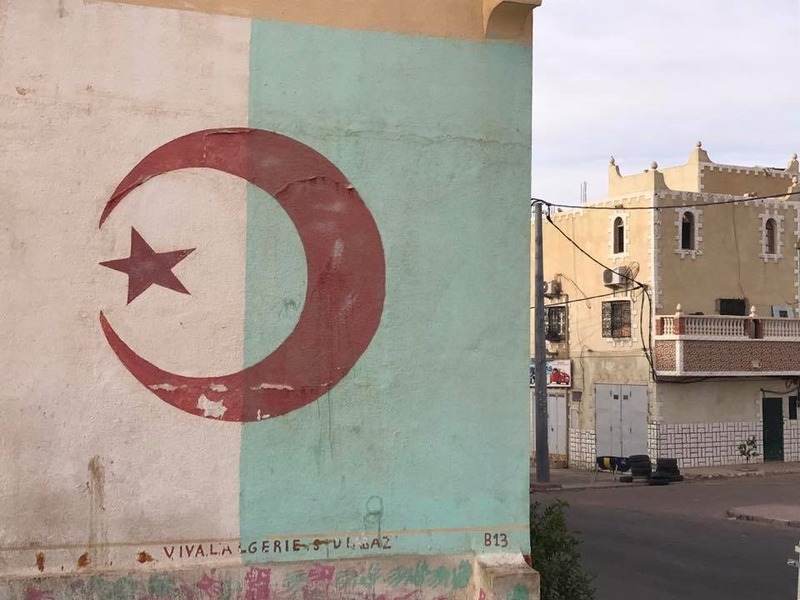 Algeria may not be on the top of your travel list, but never discount the loyalty and love and care of the Algerian. If you wonder if you could ever find a more ancient version of Morocco you don’t need to go further than Algeria. It was worth the trouble of the visa… amazing people, fascinating stories, loving people. We got ours… just make sure you have the 4-6 weeks to wait.